The Family Law Act focuses on parental obligations and children’s rights. When parties are having discussions about parenting arrangements, they are invited to consider what type of arrangements (for example who the child will live with and spend time with) will be in the best interests of the child and takes into account the obligations and responsibilities of a father and mother (or the child’s carers/guardians). The Family Law Act comprises of different considerations and factors to determine what will be in a child’s best interests for example, that the child have a meaningful relationship with both parents and have access to their culture. Although the Act provides a number of considerations, it is important to remember that every family law matter is different and what might be in the best interests of one child may not necessarily be in the best interests of the other. It is important to seek legal advice which is tailored to your circumstances to ensure that it is the right advice for you. In Crisis or need someone to talk to? Do you want legal advice? 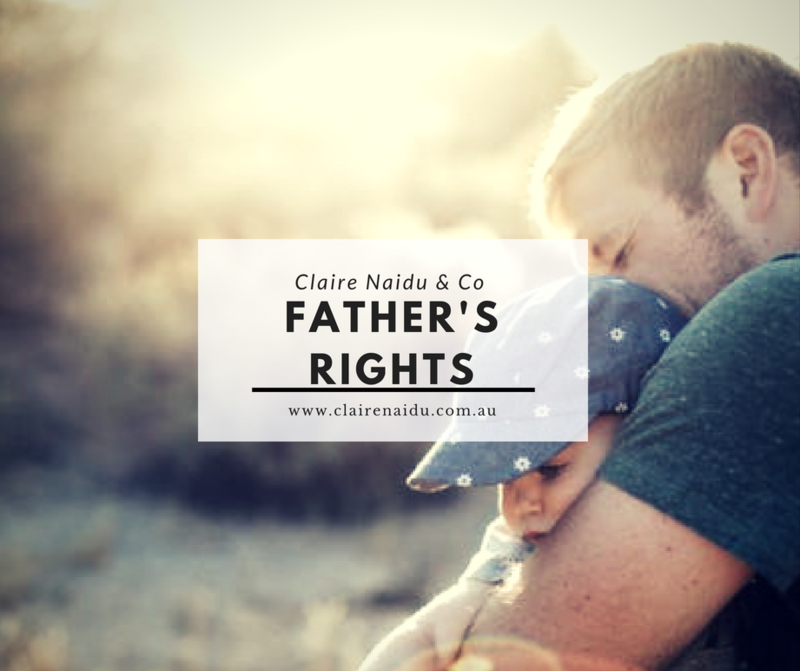 If you would like to know more about your rights or if you have separated, thinking of separating, have been served with court documents, received a letter from a lawyer or want to know more about your parenting matters, please contact Claire Naidu & Co. We would love to speak with you about the process and your options. Our contact details can be found by clicking here. This blog does not constitute legal advice and Claire Naidu & Co is not responsible for any reliance upon its contents. If you seek legal advice, contact us to make an appointment. Our contact details – click here.